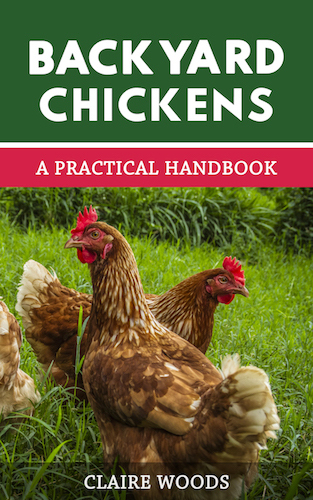 For those of you who don’t yet raise chickens, the life of a backyard chicken keeper can seem like a strange and confusing world. It doesn’t need to be though! In this article we talk you through exactly what hens need to be healthy and good egg layers. Many folks spoil their chickens in many ways– I’m guilty too, but hens need very few things to lead a happy and healthy life. The basics can be summed up in four words: food, water, shelter and safety. So we will take each one and concentrate on the minimum of necessities for each. 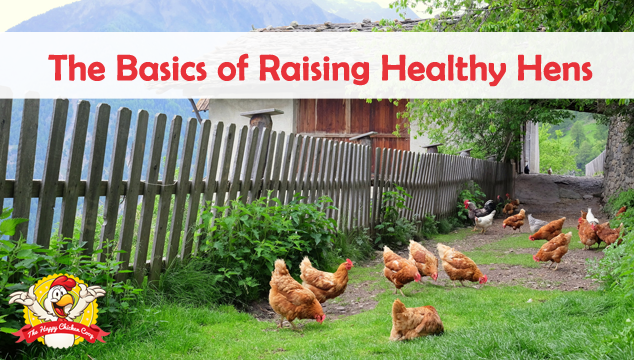 The first step to raising heathy hens is making sure their food and nutrition is correct. If not, you will have problems with their egg laying. 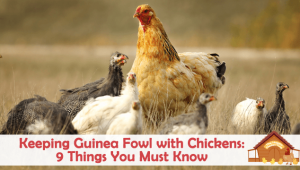 Which type of feed you need will depend upon how old your chicken is. Feed usually comes as crumbles or pellets. Crumbles are basically ground up pellets, they are nutritionally the same. 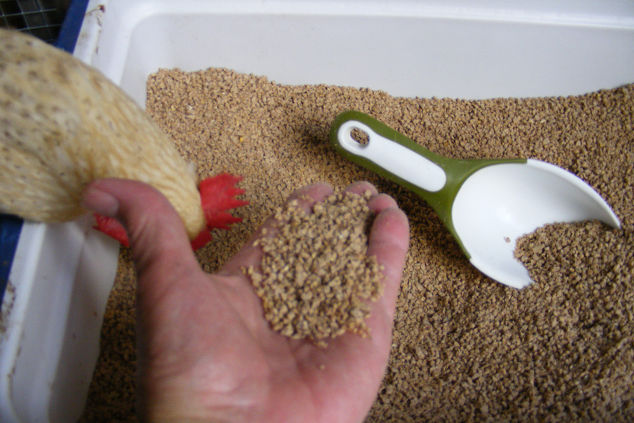 Crumbles are easier for the chicks to eat, but I change them to pellets at around ten to twelve weeks. The starter feed can be medicated or un- medicated, it really is your choice. The medicated feed will help chicks develop immunity to coccidia. If they should develop coccidiosis you run a very real risk of losing many chicks to this disease. If the area you plan to use for your chicks has never had chickens on it, you shouldn’t need medicated feed. After eight weeks, you can change them over to grower or grower/finisher feed. This contains sixteen to eighteen per cent protein. Their growth rate is slowing now although they are still growing quickly. When eighteen weeks rolls around you can change them to sixteen percent feed. The ladies should be laying any time now. Initially you can expect a few ‘odd’ eggs until the hen has her machinery running smoothly. Some breeds don’t start laying until twenty eight weeks, so don’t panic! Something else you need to provide them with is calcium in the form of oyster shell. 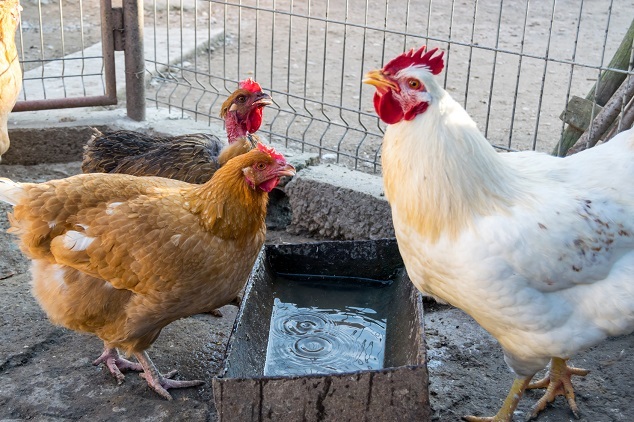 Water is essential to all living beings, chickens are no different. They take frequent small sips throughout the day, which adds up to about a cupful per day. In very hot, humid weather their water intake can be around three cups a day! Quick math: one US gallon has sixteen cups, so if you have ten hens you will need a two gallon drinker. I prefer the hanging drinkers just because those that are stationed on or low to the ground get all sorts of muck scratched up into them. It seems like you are changing them every hour or so! Water should be clean and cool- nobody likes drinking warm water. When the weather is unbearably hot, you can add ice cubes to the drinkers to keep the water cool for longer. If your ladies are looking a bit peaked, you can add electrolyte solution to the water for a ‘pick me up’– once weekly should be enough. A coop is basically a wooden box in which the hen sleeps, eats and lays eggs. A hen should never be confined to just a coop, there should be an attached run she can use or allow her to free range. The coop needs to be well built and able to withstand the weather and predators. It should have good air circulation for efficient ventilation. Ideally a vent close to the bottom to allow cool fresh air in and a vent near the top to allow stale, moist, warm air out. There should be no drafts on the hens themselves. It is important that the air currents don’t make a draft directly on the hen. In winter time the breeze may chill her below her optimum temperature or cause frostbite to her comb and wattles. 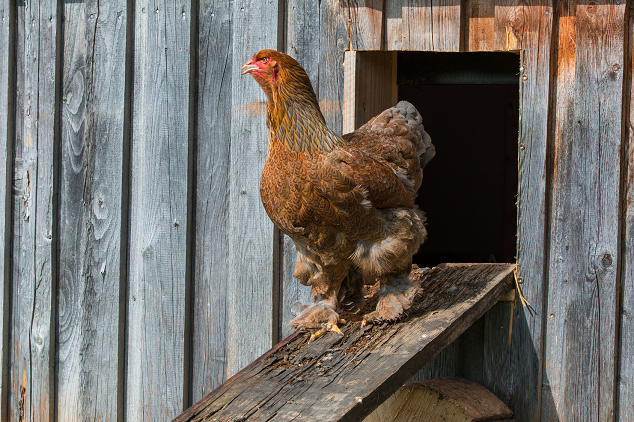 There should be one nest box for every three hens and a perch for them to roost on at night. The nest boxes can be free standing, but are usually part of the integral design of the coop. Ideally they will be situated lower than the roost, otherwise you may have hens sleeping in the nest boxes – where they will poop all night and you will be cleaning in the morning! Nest box material should be changed frequently to minimize the occurrence of lice or mites. The perch/roost can be a wooden dowel or a two by four laid fat side horizontal. The reason behind this is simple, when the winter arrives they will be snuggling their feet up against their body to keep themselves warm. A flat surface enables them to do this better. In theory each hen needs about one foot of perch space, but in practice, they all cram together at one end usually! There are many different designs of coop out there. If you are somewhat ‘DIY’ you could easily make your own. If you do decide to make your own, be realistic about dimensions. Large hens such as Rhode Island Reds or Orpingtons require four square feet of floor space each. Bantams require two square feet each. As encouragement I will tell you I have built all of my coops- they are sturdy and have everything a coop could need. If you decide to buy a coop, be aware that most coop manufacturers are optimistic about how many hens will fit into the box! If you read that it can fit six hens, check the dimensions before you buy. While it’s true you probably can stuff a few more in, you will be ‘rewarded’ with some anti-social behaviors from your flock. 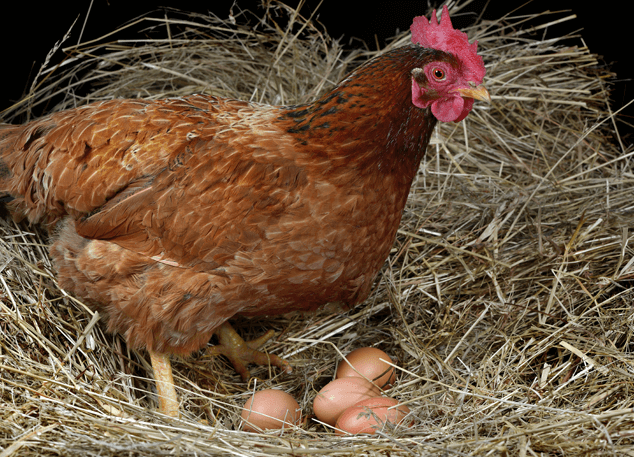 Behaviors such as vent picking, pecking and feather pulling will manifest themselves when hens are crammed together. It will be the more timid flock members that will suffer and have to be removed from the coop until their wounds have healed. This type of nasty behavior is very much apparent in the winter months when hens can’t get out and about. The more room they have, the less likely you will have problems. 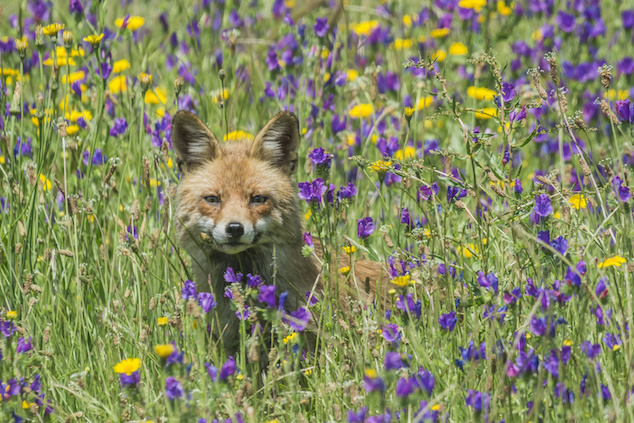 Everybody loves chicken– foxes, raccoons, coyote, owls, hawks, weasels and fishers. Rats and occasionally possum will eat baby chicks and eggs. Vermin such as rats, mice and voles will eat any feed they can find, so you need to know what you can do to minimize the risks for your flock. 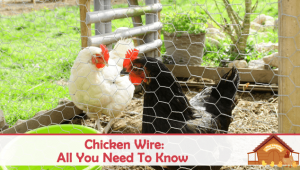 Note: chicken wire will keep chickens in; it will not keep determined predators out. Hardware cloth will keep chickens in and predators out. Your coop should be ‘tight’. No access to predators through vents, windows or doors. Vents and windows should have a covering grille of half inch hardware cloth secured to the wood. Ideally the door will open into a covered secure run which cannot be easily accessed. You should be able to securely lock the door at night. Raccoons have an amazing ability to work things out, they have the intelligence of a three year old child. They can open simple locks, so use something more robust and difficult to open. In an ideal world the coop will be off the ground by at least six inches. This prevents burrowing creatures from chewing through the bottom of the coop to get in. If your coop has to be on the ground, consider attaching hardware cloth to the underside of the coop. Tip: As hardware cloth is quite expensive, if you cannot cover your entire run area in it, consider using hardware cloth up to a three foot height, and use chicken wire for the upper areas of the run. To deter aerial predators such as hawks and owls, you can either cover the top with chicken wire or run some twine or similar in a haphazard, random pattern from side to side. This will deter them because you have made the target more difficult to access by reducing the space they can fly through. All done with predators? No, not quite. If you live in the city or urban areas there is another threat to your flock- stealing. Several folks have had their birds stolen at night. If you think this may be a concern in your area, add a padlock to the coop. This has been a ‘crash course’ into the most basic of needs for your hens’ wellbeing- it’s always good to revisit the essentials once in a while. As always, it’s better to plan in advance than play catch up after. If you can get all this into place before the flock arrives, it will leave you more time to watch and study them. Watching them is very relaxing and it’s also a great way to learn the different little personalities they all have. This in turn will alert you to any pending problems as you learn to ‘read’ your hens. Do you have any tips or advice to add? Let us know in the comments section below. My hens definitely prefer dirty water to ‘clean’ (I have three huge cisterns that collect ‘clean’ rainwater off an asbestos roof). The dirtier the water the more they seem to like it, slurping it up and ignoring the crystal-clear water in their water-dispenser. The dirty water is water spilled off the dispenser when I fill it. It’s the same with our cats. I fill their bowls with clean rain water, but they prefer to drink from slimy ponds and puddles. An old neighbour tells me that birds and beasts know best what they want and what suits them. They certainly do know what is best for them and providing they are healthy that’s the main thing! One question for you: We have 2 older chickens and 2 older roosters that we inherited from a neighbor lady that passed away. Originally I fed them crumbles but now they all prefer chicken scratch. Is chicken scratch a good (complete) food choice? They no longer lay eggs and are pretty much free range chickens in a large pen with grass, trees, etc. Whilst there are different types of chicken scratch, in general this isn’t a ‘complete nutrition solution’ and I wouldn’t recommend it as the only food choice. Thank you! I have been wondering for a while and didn’t know who to ask. Price isn’t a problem. They just seem to eat the chicken scratch better and don’t seem to like the crumbles. Maybe I will try mixing the 2 together. I want to take good care of them. I appreciate your advice!!! This info is sooo valuable to us. We are brand new to chickens & need all the experienced advice we can get! I will use it as we begin planning and gathering everything needed for our “girls” ? This is fantastic news Brenda! I have a problem with my hens not laying most of them are beyond laying age and have laid from time to time,Out of 18 hens I may get 2 or 1 egg per day leaving some days with no eggs,I am wondering if its the heat or the feed or both,I feed them medicated Game Bird Starter wheather they be chicks or adults I keep on the look out for things high in protein I recently started adding fish food pellets as they are 36% protein,Signed Desperatly Seeking Help. You mentioned that most of your hens are beyond laying age? Just getting into the backyard chicken craze and have heard lots of differing advice as to the breed of chicken to start with. I’m leaning toward Plymouth Barred Rocks but was told that Rhode Island reds are superior. Any truth to that? It really depends on what you mean by ‘superior’- do you mean better egg layer? Just a FYI, my Hens love. When I bring them weeds, the one’s that I know won’t hurt them, there the one’s my horses love to eat, not sure what their called,but they have the little white flowers on them. I give it to them like a treat..